Want to launch your own IEO? We will guide your Initial Exchange Offering campaign! How to launch an Initial Exchange Offering in 7 easy steps! What is an IEO and when did it start? What's the difference between an ICO and an IEO? How much does it cost to launch an IEO? How to prepare my company for an IEO? What exchanges provide IEO services? Initial Exchange Offering represent a completely new frontier for the world of cryptocurrencies. The precedent for IEO was created by the world's largest exchange, Binance. At the end of 2017, Binance Launchpad appeared, a platform for creating tokens, which allowed selling new cryptocurrencies directly from the exchange. After that, IEO faded a bit, and many forgot what IEO is, but Binance's recent initiative to release more cryptocurrencies directly from its platform has generated considerable interest from investors from around the world. 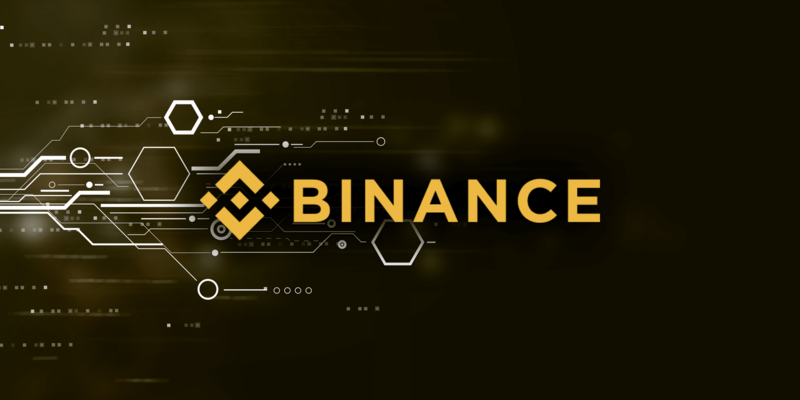 Binance Launchpad recently completed two IEOs - Fetch and BitTorrent, the latter of which has since grown by 600% since its initial price. These return on investment (ROI) indicators instantly added IEO to each investor's watch list. At first glance, the difference between ICO and IEO may seem insignificant. We have seen a similar practice with ICO: projects issuing tokens and raise funds by selling them. What is so special about when the crypto exchange sells them instead? The essential difference is that the coin is immediately sold on the exchange platform. Ask any investor what is the worst part of participating in an ICO, and he will say that it is uncertain whether a token will appear on a reputable exchange. The vast majority of ICOs take months to hit a large stock exchange and distribute their tokens, which reinforces dissatisfaction with the ICO model. On the Binance Launchpad, upcoming IEOs are announced, and the token is available in the order of receipt. After the hardcap (fundraising ceiling) is reached, the sale will be completed, and investors will be able to immediately exchange the token on the Binance exchange. Although IEOs represent an intermediary for the decentralized fundraising model, they also give investors a strong sense of confidence with participation. Due to the fact that many ICOs turned out to be a scam, investors no longer trust them. Through partnership with reliable exchanges, promising projects will gain much-needed authority. Another difference is that ICOs usually issue their tokens after funding is completed. During the IEO, projects issue tokens and send them to the exchange right away. Ready to launch your own project? Just share your ideas with us and we will make them happen. 2 weeks for an IEO campaign from start to finish. Make sure that you have all the materials to be listed on the exchange. any seed investor has and can be used as a basis for the White Paper creation. Your goal is to make IEO / crypto related websites that are both futuristic and informative. LimeICO Consulting carefully chooses the optimal PR & Marketing strategy to maximise the results of your IEO campaign. Be ready to pass the KYC before you will be listed on the platform. We do everything you need to launch an IEO / ICO / STO campaign. 2 weeks for preparation + 1 month for marketing. How much does it cost to launch an IEO campaign? Basic Package prices start from 10,000 USD - pass the quiz below and get an additional 10% discount! Pass the quiz and find out the best variant for your IEO. Tell us in what stage of development your project is? What is your crowdsale goal? When you want to launch your campaign? Whats your project is about? Operating from the end of 2016. Offices in the USA, UK, and South Korea. More than 40 employees in-house and 45+ outsource. 22 successful project + 6 projects live. We are the only company in the crypto market using Venture Capital approach. None of our packages fit your needs? We always can find a solution for you. Just fill the fields below and let us know what you need. More than 22 successful projects in 2 years! BitRent is the first blockchain platform meant to attract commercial and residential property investments at an early stage of construction in order to gain maximum profit by selling and renting out the acquired property. We connect developers with investors. Founded in 2017 on the belief your data is yours and should work for you, we created WizeBox to encrypt its user's information, ensuring that a third party isn't able to exploit, mishandle, or leverage a person's own data against him or her. HOOCH -- the first-ever subscription drink app -- gives members one free drink every day at thousands of top bars and restaurants from New York to Hong Kong for just $9.99 per month. Cryptfunder is a Decentralized Funding Source for the Cryptocurrency Community, Startup ICO's and Blockchain Companies. The FSN product is a service for accessing the Internet at any time in any part of the world. SpaceNet provides global internet access via LEO satellites agglomerate. Want to learn more about our other success cases? Contact us and we will send you our full project list! Need more info? Write to us!